The number of tourists coming through Suvarnabhumi Airport in 2016 and 2017 were 3.1 million and 2.2 million respectively, but from January to September this year, the number had declined to 1.7 million. BANGKOK (THE NATION/ASIA NEWS NETWORK) - Amid declining numbers of visitors, notably from China, during the traditional tourist high season, a desperate Cabinet agreed on Tuesday (Nov 6) to waive the 2,000-baht (S$83.50) visa-on-arrival fee for tourists from 20 countries and Taiwan for 60 days to rev up one of the main engines of economic growth. Meanwhile, the government's economic tsar, Deputy Prime Minister Somkid Jatusripitak, on Tuesday made a deal in Shanghai with Chinese e-commerce giant Alibaba to help promote Thailand as a tourist destination to Chinese people. From December 1 until the end of January, tourists from 20 countries will be able to enjoy the fee waiver as "a New Year's gift". Taiwanese travellers are entitled to the fee waiver as well. The duration of stay, however, will remain unchanged at 15 days. Passport holders of Andorra, Bulgaria, Bhutan, China, Cyprus, Ethiopia, Fiji, India, Kazakhstan, Latvia, Lithuania, Maldives, Malta, Mauritius, Papua New Guinea, Romania, San Marino, Saudi Arabia, Ukraine, Uzbekistan can take advantage of the waiver. The proposal was made to the Cabinet by the Immigration Bureau to boost falling tourist numbers over the peak New Year holiday season. Thailand has seen a continuous decrease in the number of tourists, more than 10 per cent over the past three months, said government spokesman Puttipong Punnakanta. The number of tourists coming through Suvarnabhumi Airport in 2016 and 2017 were 3.1 million and 2.2 million respectively, he said, but from January to September this year, the number had declined to 1.7 million. It is hoped the visa-fee exemption will attract 30 per cent more tourists and help generate more income for the tourism industry and the entire economy, he said, while declining to estimate the loss in revenue from the visa-fee waiver. Puttipong said what was of greater importance was an influx of more tourists to the country. Involved parties should be prepared to ensure smooth administration, he added. In the past few years, Thailand has been a popular destination among Chinese tourists but due to a recent boat tragedy in the resort island of Phuket which killed more than 40 people, the number of tourists from China has dropped significantly. Observers in the industry said social media in China had spread negative reports about Thailand over the past few months, resulting in a decline in Chinese visitors. Comments on the boat tragedy made by Deputy Prime Minister Prawit Wongsuwan months ago, the crackdown on zero-dollar package tours as well as news of an outbreak of dengue in the Kingdom had made Chinese tourists wary, according to an expert on Chinese affairs. The number of Chinese visitors dropped dramatically from 939,771 in July, when the boat tragedy took place, to 867, 461 in August, down 11.7 per cent, according to the Tourism and Sports Ministry. Tour operators, hotels and restaurants in Phuket have confirmed that there were still no signs of Chinese tourists returning to the province. In the popular eastern seaside resort of Pattaya, deputy mayor Poramet Ngampichet called a meeting with concerned agencies and stakeholders in the tourism sector to map out measures to boost visitor numbers following a sharp decline in tourists. Chinese are among the top visitors to Pattaya, totalling 2.5 million last year. The authorities in Pattaya would take more measures to ensure safety and hygiene for tourists, he said. Meanwhile, Deputy Prime Minister Somkid said yesterday that China's e-commerce giant Alibaba had agreed to help promote Thai tourism. On November 11, or "11/11" - when Chinese people celebrate "Singles Day" - Alibaba will launch a 20-second video on its website to encourage Chinese tourists to travel to Thailand, he said. The video is expected to reach as many as 800 million Chinese, Somkid said after his meeting in Shanghai yesterday with Alibaba's executives, including its founder and president, Jack Ma. The Tourism Authority of Thailand had already been instructed to create the video, Somkid said, adding he himself might be featured in the presentation to convey the message of convenience and safety in travelling to Thailand. Ahead of the grand opening of Appleâs first retail location in Thailand this Saturday, November 10th, a new interview has shed more light on Appleâs thinking and goals for the project. Following last weekâs special event at The Brooklyn Academy of Music, Thai YouTuber Ceemeagain Chatpawee sat down with retail SVP Angela Ahrendts in Williamsburg to learn more about Apple Iconsiam. I hope that every Apple fan comes to Apple Iconsiam because it will be the fullest expression of everything that Appleâs doing. Itâll be the only place in Thailand that you can come to a Today at Apple session. This is not a store. This is a magnificent place that I think [people] will just love to come and hang out at and enjoy the gardens out front. Come and just hang out at Today at Apple and watch the big screen and everything thatâs happening around you. Itâll be the first Genius Grove with big trees where you can just sit as youâre waiting for service and support to get something fixed. I think thereâs a lot of firsts that they have to come and see. Online, Apple Iconsiam has been promoted with a special Apple Music playlist, themed wallpapers, and a âNew Beginningsâ App Store story, lending credence to the community theme. A special collection of Today at Apple sessions bearing the same name will run in the days following the grand opening, with exclusive events including a Music Lab and a live performance. We donât want to do anything to compete with the partners or the service partners. So we come in at a whole different level, hopefully far away from them so it doesnât impact them. But we offer a wider selection if customers are curious. We offer Today at Apple sessions so that people can learn more about their products. And as they learn more, they will stay more loyal with iStudio and with all of the partners. And then we also offer another level of service and support. More details are discussed in the full interview video above (portions are in Thai.) If you attend a store opening, weâd love to share your photos. Follow along with 9to5Macâs retail guide for more Apple store news. Apple operates 505 retail stores across the globe. Lead by former Burberry CEO Angela Ahrendts, the company's retail presence continues to grow with community initiatives like "Today At Apple." Michael is a Creative Editor who covers design, history, Apple retail, and creativity tools. He also contributes to 9to5Macâs graphics and visual identity. A conflict between the Thai military and Muslim rebels has been simmering for nearly two decades in the country's south. After a drop in violence, there is now a sense that the situation could turn for the worse. 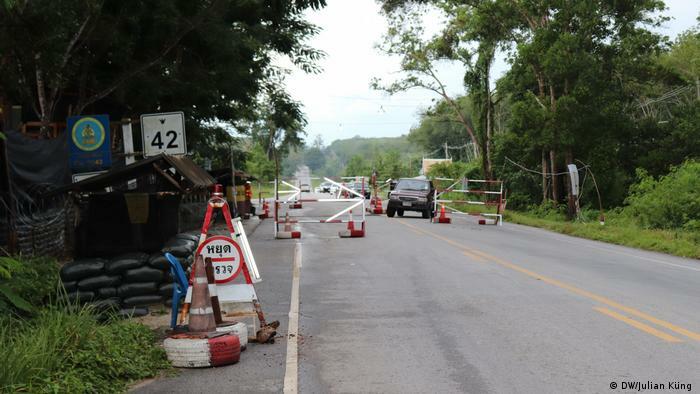 At a border checkpoint crossing into southern Thailand's conflict zone, a police officer rushed quickly from his wooden guard post toward a reporter who had been snapping a few pictures. After the guard realized that the journalists were working on a report covering unrest in the region, he calmed down, adjusted his brown uniform, straightened his glasses and vented his frustration. "It's hard for me to find words that describe the permanent atrocities committed the rebels commit," he said, while pointing to pictures of wanted separatists that hang at every checkpoint. 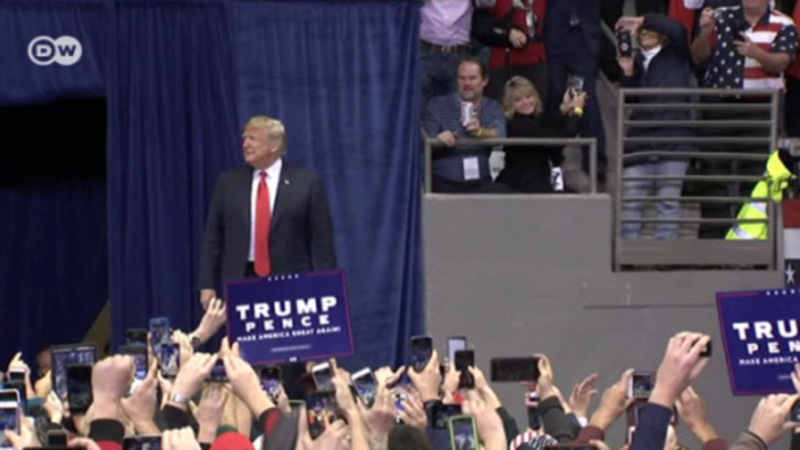 "For a short while after the death of the king [in October 2016] things quieted down," he said. "But now the entire tragedy is starting all over again." For the past few months, isolated explosions and shootouts have bee n occuring almost daily. Soldiers and security personnel are the primary targets of separatist rebels. The NGO "Deep South Watch," which observers the unrest in southern Thailand has measured an increase in victims over recent months. Pattani, Yala and Narathiwat, are three provinces in what locals refer to as Thailand's "deep south" on the border with Malaysia. The region is home to a Muslim, Malay majority in predominantly Buddhist Thailand. For nearly two decades, separatists have been demanding that Bangkok grant the m local autonomy, and the Thai military has come down hard to eradicate separatist terror cells. 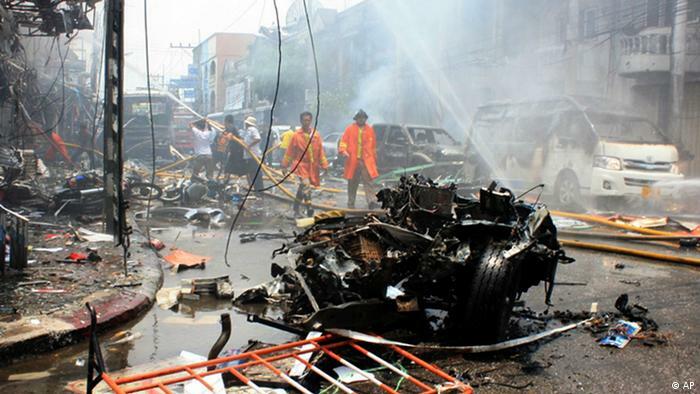 In 2004, attacks began to occur regularly, and since then, conflict between separatists and the Thai government has claimed over 7,000 victims, with nearly double that number injured. Even though violence in the region has declined over recent years, a solution to end the conflict is not in sight. Don Pathan is an advisor for international organizations in Thailand who works with security and development issues. He has been watching the waves of conflict in southern Thailand for many years. He considers the latest upswing in violence to be a bloody backlash by the rebellion. "The Thai military claimed that the decreased attacks during the mourning period of King Bhumipol was a victory for them," Pathan told DW, adding that the Muslim separatists answered this provocation with a series of attacks. Thailand's deep south consists of lowlands that are dotted with military bases. 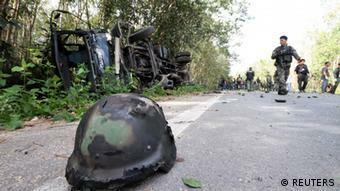 Heavily armed military vehicles creep along the roadsides manned by masked soldiers from the Royal Thai Army. Hardly a kilometer goes by without a control checkpoint. Muslim civilians are under constan t observation by the Thai military. A military officer showed DW's reporters his outpost, located not from the provincial capital Pattani. Birds chirped in ornately decorated cages hanging above the protective sandbag barricade. "We live here in constant fear," the officer said. "The worst is not knowing when and where the rebels will attack next. Unlike us, the insurgents don't wear any identifiable symbols and it is very difficult to filter them out of the civilian population." For years, the Thai army has been following a strategy of "de-escalation through strength." Former general Piyawat Nakwanich, who commanded armies in the south until he was ousted, tried to suppress unrest with a massive military p resence. Shortly before he stepped down in August, Piyawat sent 1,000 soldiers to problem areas in Nong Chik district in Pattani province. During their deployment, two soldiers were killed by gunmen and four were injured. According to critics, this show of military power only served to widen the divide between the state and Muslims. "The ousted general and his heavy handed strategy only left a pile of ruins that his successor will have to clean up," said Pathan. In October, General Pornsak Poonsawas took over command of Thai military operations in the south and has started a charm offensive. In one of his first actions as commander, he presented a fruit basket, a symbol of building a new and healthy relationship, to Muslim religious leader Aziz Phitakkumpon. Poonsawas also said that drugs rather than religion are the main contributor to tensions in southern Thailand. He told local reporters that drugs were being sold on the street, with the help of government officials. The general didn't offer any evidence for his claims. 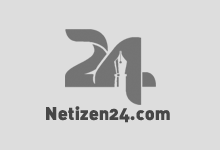 Pathan said that this "new strategy" is little more than window dressing by the military. 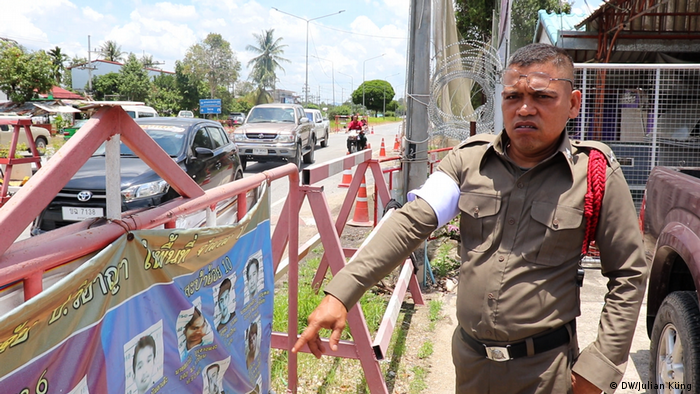 "Drugs are a national problem in Thailand and this is in no way limited to the south," said Pathan. "But it is still a good chess m ove from him. By calling out problems that affect everyone, Poonsawas is trying to win over the Muslim population." However, a former hardline army commander, Udomchai Thammasarorat, was named as the chief negotiator for peace talks between the Thai government and Muslim rebels, with Malaysia playing a role as mediator. Up to now, these negotiations have not seen results. Read more: Thai land on its way back to democracy? Udomchai has a reputation as an unscrupulous hunter of rebels. He was the regional chief of an army base that made international headlines for its deadly torture tactics. Despite evidence presented by local activists, he continues to deny the charges. As a long-time observer of the conflict, Don Pathan is pessimistic about the future. "The new leadership strategy in the deep south does nothing to promote peace, but rather serves to secure power for the ruling junta in Bangkok." Watch video 00:50 Now live 00:50 mins. 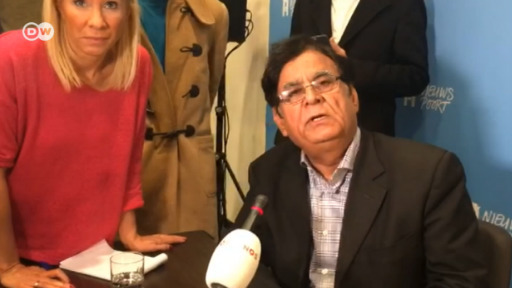 Saif-ul-Mulook, the lawyer of Asia Bibi, the Pakistani-Christian woman who was recently acquitted after spending eight years on death row on blasphemy charges, fled Pakistan to the Netherlands on Saturday due to security reasons. He tells DW that if the international community does not help him now, no lawyer in Pakistan will ever take up a blasphemy case again.